What kid doesn’t like a tasty treat. Lately, my kids have been asking for me to make icre-cream. One day I looked for in our refrigerator for some ingredients that would be the perfect combination to create a sweet treat and I found it. To make the strawberry homemade ice-cream you’ll need a high-powered blender and the following ingredients. Add all of the ingredients to your blender in the order listed. In a Vitamix turn on your blender on the first #1 setting and gradually move the blender to #10 and then turn it on high. Blend while using the tamper to push all of the ingredients down. Blend for about 20 seconds or to your desired consistency, longer for creamier and a more liquid result. The final result reminded me of a sweet strawberry popsicle. We enjoyed ours in waffle bowls. The ice-cream turned out delicious. It was nice and smooth and a perfect dessert for kids to help create. We all really enjoyed it. I like making ice-cream versus buying it because when we make it we usually make just enough for that day, and we don’t feel obligated to eat an entire container. In general, it helps us manage portion control because sweet treats eaten in moderation are enjoyable and guiltless. It also ensures that we know the exact ingredients our bodies are consuming. 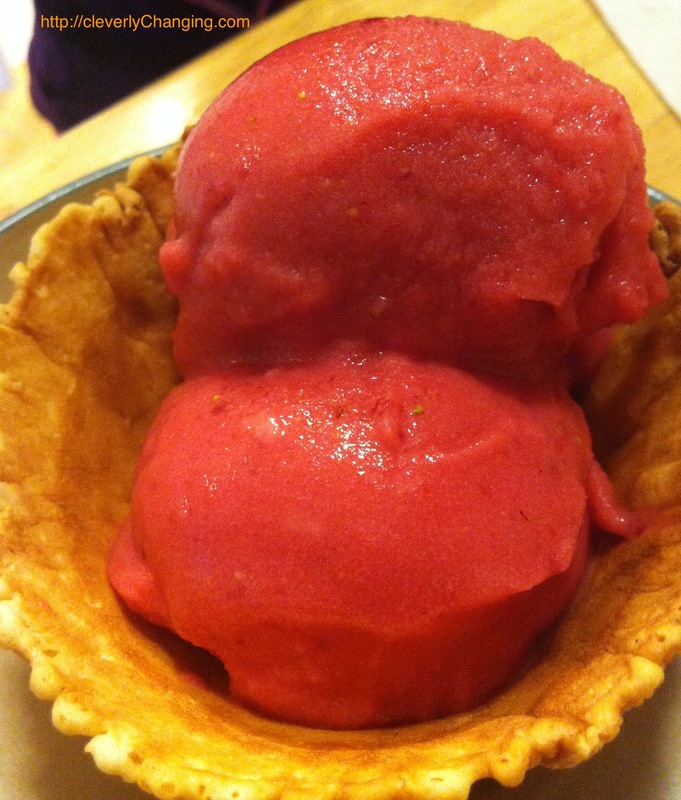 Reader Response: What are some of your favorite homemade ice-cream combinations?